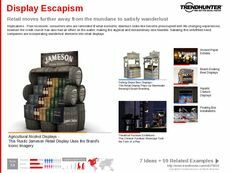 Find Better Ideas, Faster ® with a custom self-serve kiosk trend report, our PRO Dashboard and 80+ categories of premium trend reports. 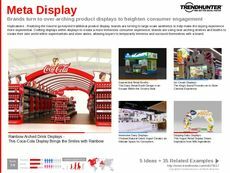 The Self-Serve Kiosk Trend Report expands on the growing number of hi-tech displays used in the retail and food industries. 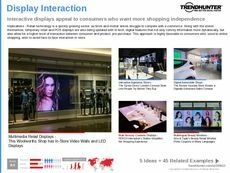 Often, self-serve displays are offered as alternative methods of ordering or payment, but also act as an interactive brand experience. Coinciding with the rise of these technologies are consumer preferences towards personalization and customization in all facets of their lives. This report will dive into the latest innovations in self-serve kiosks, and will show how brands utilize automated technologies to increase consumer convenience. 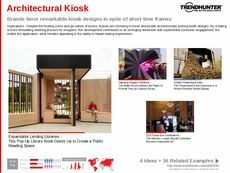 This report is catered towards brand managers, marketers and advertisers who wish to see the impact self-serve kiosks have on various industries. 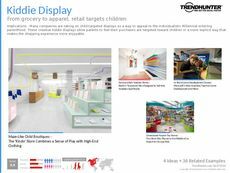 Furthermore, retail executives, restaurant professionals, software designers and tech developers will also find value in this report, gaining insight into current examples for how these technologies are being put to use. 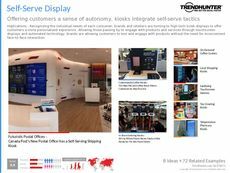 The Self-Serve Kiosk Trend Report evaluates how forward-thinking brands appropriately use technology to better suit the needs of modern customers. 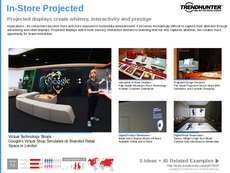 Use this report to take part in this ever-evolving retail movement.